Jeff joined IDEX in 2012 as the company’s chief human resources officer (CHRO) charged with leading the global human resources function for IDEX’s 7,000+ employees throughout the world. Jeff and his team focus on creating an inclusive culture where IDEX associates are invited to do and be their best every day- ensuring a diverse workforce and increasing diversity in leadership roles, scaling the enterprise for growth while retaining the entrepreneurial benefits of a decentralized structure, and unlocking the power of high performing teams. In this role, he has helped to build the IDEX Academy, the company’s global leadership development program and helped develop a simple, yet powerful organization and talent review process to ensure we have the best matched talent focused on our most important strategic business opportunities. Prior to joining the IDEX leadership team, Jeff led the human resources function for Accretive Health, Inc. from 2009 to 2012 and was part of the executive leadership team that took the company public in May 2010. At Accretive, he helped to build the HR function, establishing core HR processes and creative approaches for recruiting and developing leaders at all levels during a time of rapid growth, as the company nearly doubled in size over his three year tenure. Jeff began his career at GE in 1995, where he more than spent 14 years in several HR business partnership roles in multiple US locations area as well as an expatriate assignment in Italy. 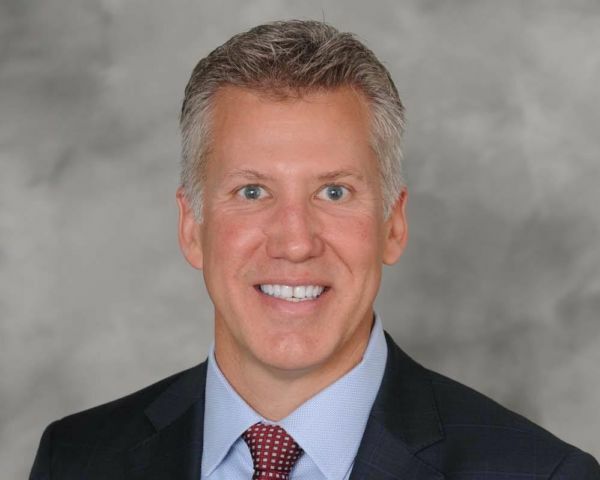 In his final GE role, he lead GE’s global talent review process, “Session C”, and had overall responsibility for the three senior executive leadership courses taught at GE’s Leadership Development Center – Crotonville. Jeff is actively involved in the HR community. He served on the Human Resources Management Association of Chicago (HRMAC) board of directors for six years including the role of board chair in 2014-15. He is currently a member of the Washington, DC-based HR Policy Association and serves as vice chair of the Human Resources Council for the Manufacturers Alliance for Productivity and Innovation (MAPI). Jeff received a bachelor of science degree in organizational communication with a concentration in human resources management from Ohio University and a master’s degree in human resources management from Rutgers University. He resides in the North Shore of Chicago with his wife, Amy, and their two children. In his free time, Jeff enjoys spending time with his family on Lake Michigan, paddle boarding, kayaking, swimming and sailing.